A great commercial Not a word spoken, and none needed. Very few commercials deserve to go viral. This one does. 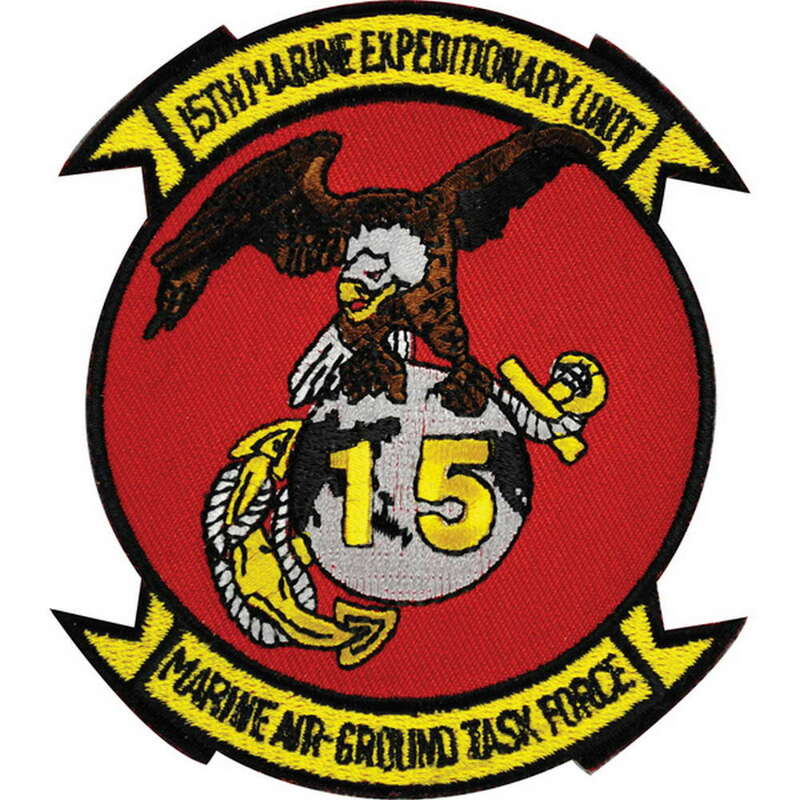 NAVAL AIR MUSEUM, PENSACOLA 2008: 2011 is the Centennial of Naval Aviation and 2012 is the Centennial for Marine Aviation. 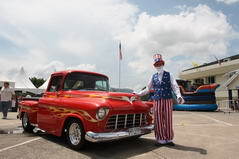 Here is a group of pictures at the Pensacola Museum that covers the waterfront and puts many museum web sites to shame. 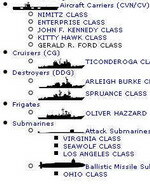 The Navy Fact File contains descriptions of the roles and characteristics of Navy ships. 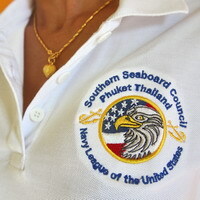 Are you already a Member of Navy League Phuket, but with a Business? Conisder our "Contributing Business" Business Package. 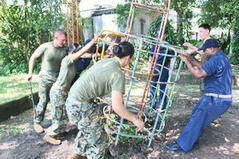 Our Contributing Businesses play a major role in supporting Navy League Phuket through their direct invitation-like offer to ships' crews to provide personal service along with special offers and personal care to ensure that ships' crew will have the very best experience of their deployment cruise of up to 8 months. 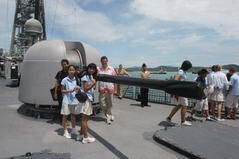 Perhaps equally important to Navy League Phuket is the very critical financial support our Contributing Businesses provide in support of our service to our local Thai community that contributes toward their rewarding memory of the Sailors and Marines that visited them. Much of this support for Community Service gets bundled up into an acronym COMSERV, "Community Service". To date our local team has provided support for more than 100 local COMSERV projects bringing volunteer crew members from a visiting ship into a local community somewhere in Phuket or Phang Nga sometimes. 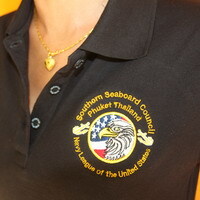 Our Phuket Navy League has embroidered polo shirts available in white or black, with or without pocket. Men's sizes are European and woman's sizes are Thai. Also available, not pictured are T-shirts in white or black and high-quality money clips. 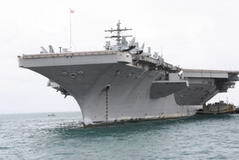 Thailand Southern Seaboard Council supports building positive relationships between our community and US Navy ships, their officers & crew members making port of call visits to Phuket. 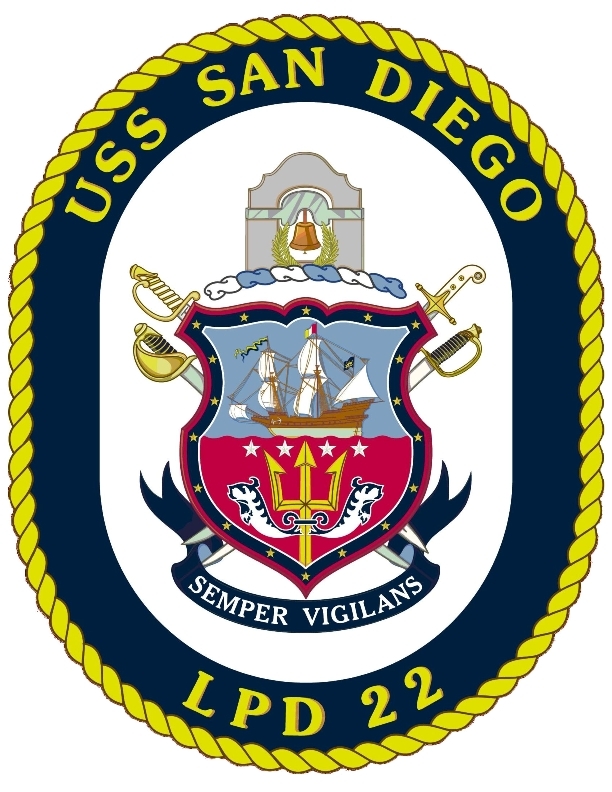 We actively support COMSERV more details outreach community service projects whereby US Navy personnel work directly with our local community. On months that we are not hosting visiting ships we will usually hold a regular membership networking meeting that visitors are welcome to attend. 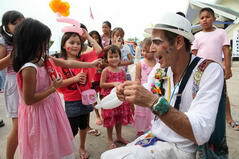 We will usually ask for a small donation at the entrance to cover a complementary drink and snacks. At some of our meetings we will introduce special guests that will speak on a topic of interest. On occasion we are able to arrange tours of visiting ships. Contact us or visit us at one of our meetings and learn more.